If you think people who brew and drink cold coffee even during winter are masochists, you are dead wrong, because the cold brew is a richer and much smoother cousin of the hot coffee drink. It is a favorite all year round coffee drink, because it has a great taste, and very low levels of acidity, as the coffee beans do not get in contact with heat, therefore, they don’t develop any acidic or bitter taste, as is common with hot coffee. In case you are wondering, why buy a cold brew coffee maker if I can just make coffee and refrigerate? Now, cold brewing will make a better tasting, and much smoother cup of iced coffee than refrigerated hot coffee. The difference in the tastes will astound you. Plus you need not wait all night long, for your coffee to get cold in the fridge. You can make it and enjoy it on the spot. Another reason is, when you add ice to your hot beverage, this dilutes it, and gives a very weak tasting drink. Cold brewing starts from a concentrate, which is watered down, you only need to add some cream, ice and a little water, and you get a strong flavor-filled drink. On top of all that, the iced hot coffee drink will have a bitter taste, and some of the coffee flavors will go un-noticed when the coffee is hot, so you will not get to enjoy the richness of your coffee drink. 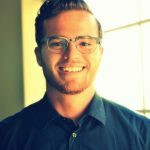 When you brew the coffee in a slow and cold exposure, without any heat, you will extract fewer bitter flavors, which will result in a sweet, mild-tasting coffee, which will be an excellent drink to have while cold. OXO good grips is the best cold brew coffee maker in the market today. It is also one of the most beautiful products and will look great on your kitchen counter. It has an ultra-fine mesh filter, made of stainless steel, which is easy to clean and therefore re-usable. 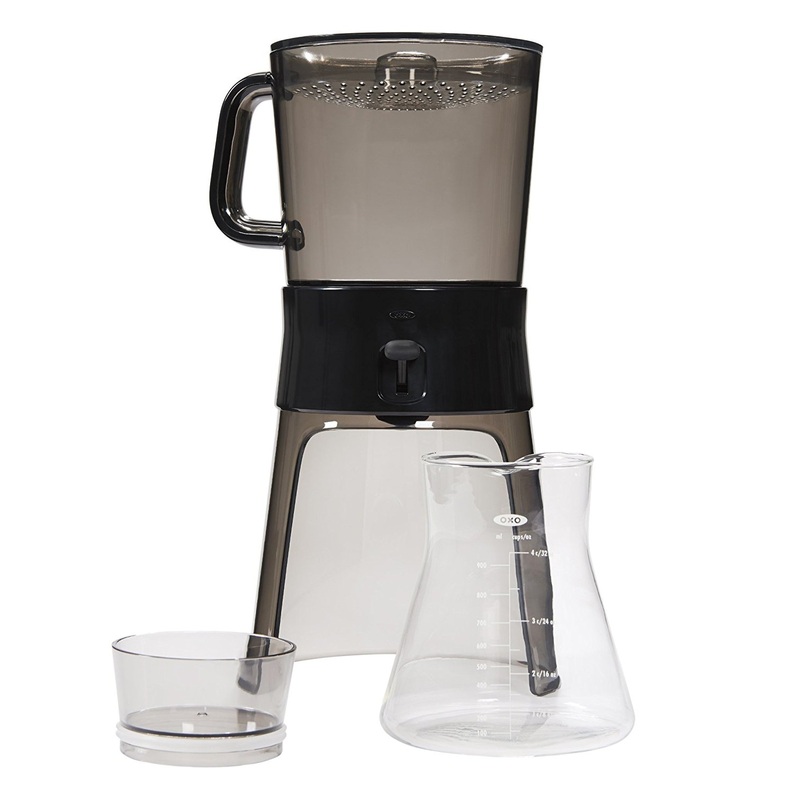 The borosilicate glass carafe has measurement markings that are paired with a stopper to ensure the coffee stays cold while refrigerated. This product can be easily disassembled, cleaned and stored. It also comes with 10 water filters that you will appreciate in the long-run. Of all the cold brew machines I used, this one produced the most consistent cold coffee brew. It is almost 15 inches in height, and uses a reservoir-and-vessel system for brewing. The reservoir doesn’t sit on the carafe, but rather on a dedicated wide base stand. The water drips through a perforated lid which then distributes the liquid evenly allowing the coffee to bloom and extract evenly. You can then simply flip a switch to drain the coffee concentrate. This will prevent you from messing up your kitchen. You can also pause mid-brew and enjoy a drink before it has completed the draining process. In terms of flavor, this product produces the most flavorful cold coffee drink you will ever have the pleasure of tasting. It comes with two incredible recipes that will leave your craving for more. It also has the strongest flavor, and lowest levels of acidity compared to other cold coffee brewers. Quality: This is probably one of the highest rated products in terms of quality of coffee produced. You will love the smooth brew of coffee. Ease of use: Once it has been set up, it is very easy to use and start enjoying a perfect cold coffee drink. Filtration: The filtration process is also very easy. You simply need to flip a switch and start draining your coffee. Filter: The filter is made of stainless steel. It is also permanent, re-usable and long lasting. There are also quite a number of filters with every purchase, which is very convenient for you. Consistency: The OXO has the most consistent results of the coffee produced. Packaging: It will come packaged with very many pieces, which can be frustrating to put together at first, but once you do it, you are good to go! Draining: There have been some concerns on the draining quality of the coffee maker, but this should not be a major concern. When it comes to a great cup of ice-cold coffee, the OXO good grips cold brew coffee maker is the best hands down. It makes a delicious cold brew requiring very little effort from your end. You shall never regret having it. We highly recommend this top-rated cold coffee maker and give it a 4.9/5 rating in terms of quality, consistency, and elegance. Now, the Filtron will not attack you with a state of the art kind of look, but trust me, the coffee produced will be high class. Its black plastic design will also have less stains compared to the other coffee makers. 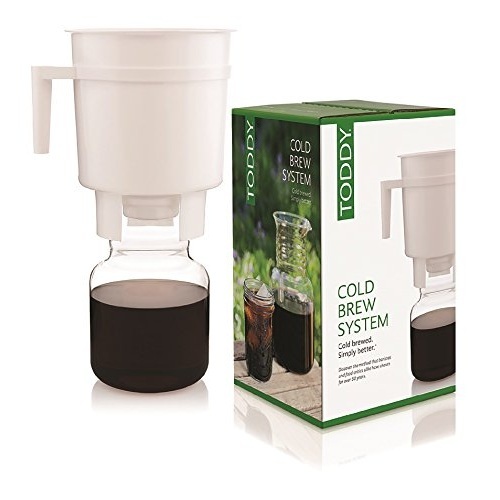 This product will produce a smooth, mellow cup of ice cold coffee every single time you use it. The consistency of the brew will also impress you greatly. The aroma produced by the coffee brewed is excellent. The taste is mild in acidity but heavy on flavor. It balances the sweetness and acidity perfectly. You will be craving for a cup of iced tea on a daily basis. It is easy to set up and use. It has a rubber stopper and felt filter at the bottom of the plastic bucket, with a handle for extra support. The process is very simple. All you will need to do is let the mixture sit for 12-24 hours in the plastic. You will then put the carafe included under the coffee maker, and pull on the stopper. Leave it to drain for at least 30 minutes. Clean it after this, by plucking out the filter which is full of coffee grounds, or scoop and rinse the bucket. After rinsing, you need to store the felt filter in water, within a container in the fridge to prevent molding. Mold is one of the biggest drawbacks of this coffee maker, so be careful to store it away from moisture. The Filtron will produce at least 32 ounces of the most concentrated coffee flavor ever! And can stay for 2 weeks straight in the fridge. The coffee is consistent and great tasting as well. Coffee quality: The Filtron produces great tasting coffee full of aroma and flavor. It is also consistent and does not disappoint. Ease of use: It is very easy to assemble and use, compared to the other coffee makers. Cleaning: It is very easy to clean, therefore highly recommended. Mold: The filter must be stored in the refrigerator where there is a possibility of it getting mold. This is the biggest drawback of the Filtron coffee maker. Whilst the design does matter, the Filtron has proven that it is not the most important thing when it comes to coffee makers, it may not be the most attractive, but it will produce the highest concentration of consistent and delicious coffee. We recommend this product and as it is less expensive, and the final cup of coffee is very smooth, flavor full and extremely enjoyable. The Toddy cold brew has a design similar to the Filtron, which is a little less appealing. It has a white plastic bucket that produces great tasting coffee. The design should not fool you. The coffee is fantastic. It is a little bit complicated to operate compared to the other coffee makers, but the quality of coffee produced is not compromised. It will require five different additions of coffee and water and a five minute waiting period before the final water has been filled. The final process will be a light press to wet the floating coffee grounds with a spoon. It will produce 48 ounces of concentrated coffee, enough for at least 6 24 ounce cups. The coffee may not be as flavorful as the other coffee makers, but it is delicious enough for a hot summer day. If you have a sensitive stomach, you will love the coffee produced with the Toddy cold brew, as it is far less acidic compared to the other coffee makers. It doesn’t have any unpleasant side effects, which is incredible. Another great benefit of this coffee maker is that it can also make hot coffee, you simply need to add hot water or milk to the final brew, and can also make tea. A total jack of all trades. The Toddy cold brew makes use of a new technology known as Body Brew’s BOD that is similar to an asymmetrical hourglass. One end holds the metal filter, while the other has the storage vessel. It was created in 1964 by Todd Simpson, an engineer, who found the traditional coffee system to be undesirable, and wanted a smoothly balanced cup of coffee, whether hot or cold. The Toddy coffee maker uses a very unique cloth coffee filter, unlike most coffee makers that use steel or paper. 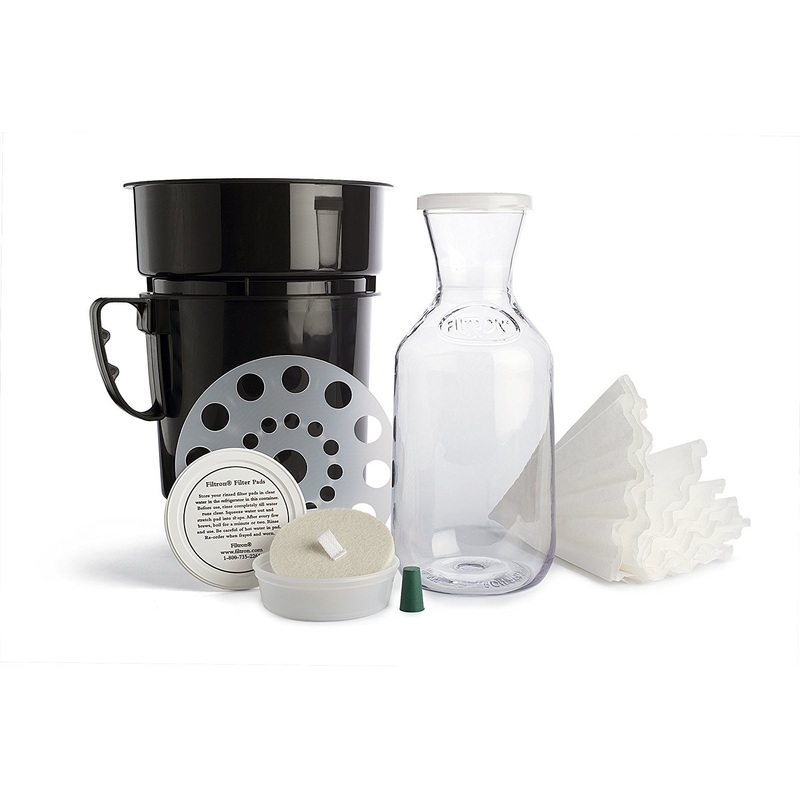 These cloth filters come in handy, when keeping out unwanted coffee grounds as well as acidity. The filters can be used for many months as long as they are properly cleaned. You simply need to clean it well using room temperature water, and keep it in the fridge using an air-tight container, till the next use. The stopper is tiny, and holds in the brew, till all the coffee has been made. You can simply use the handle to lift the brewer, and unplug the stopper to release the delicious coffee that has been brewed. 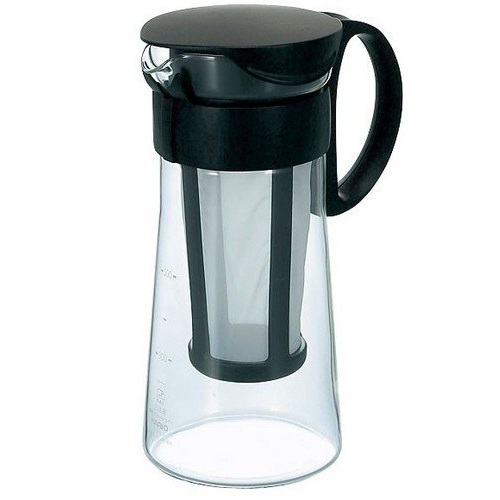 The carafe, is not elegantly designed, but it is sleek and easy to pour. It is also an elegant piece of glassware, not ugly at all. Coffee: The coffee produced by the Toddy is very delicious, and will leave you wanting more at the end of the day. Hot or Cold: It can produce both hot and cold coffee, which makes it very convenient. Unique: The cloth filter is a very unique design of the Toddy that makes it stand out in a list of coffee makers. Acidity levels: It produces coffee with the lowest levels of acidity, making it ideal for people with sensitive stomachs. Use: Some users have complained that the product is a little complicated in its use, but with time you will get used to it. Look: It has been reviewed as not very pleasing in terms of design, but this does not limit the Toddy from producing a great cup of ice cold coffee. The Toddy may not be as beautifully designed as say the OXO, but it does not disappoint when it comes to quality and flavor. On top of all that, compared to the other coffee makers, it makes coffee with the least acidity. If you are strained for cash, and want a product that has more than one functionality the Toddy is an awesome choice. It can brew both hot and cold, plus tea as well. What more can you ask for? The Cold Bruer is an extremely beautiful coffee maker to look at, with a transparent and entertaining design that allows you to watch the entire brewing process if you like. But be warned, brewing takes at least 6 hours. The technology behind the Bruer is that, the water will drip very slowly, compared to the other coffee makers, which will prolong the process. The water used is also either very cold or at room temperature. The slow drip process brews at a rate of 1 drip per second, these drops of water will saturate the coffee, before passing it through the carafe. If you are a serious coffee fan, you will love the Bruer because it makes the coffee-making process ritualistic and wholesome. The Bruer is made of a very thin glass. The manufacturer claims it is dish washer friendly, but many users have been afraid to put it in the dishwasher for fear of breaking the glass. The resulting flavor filled coffee drink is amazing in terms of taste. It is not bitter, and contains very low acidity levels. You will love this if you have a sensitive stomach. The coffee made can be kept in the fridge for a long period of time. The coffee flavor: One of the biggest benefits of using the Bruer is that it will produce great tasting coffee that will leave you wanting more. Acidity levels: The coffee has low acidity which is excellent for a sensitive stomach. Slow drip technology: While this may be viewed as a con for some people, who love their coffee in a hurry, it is a pro in terms of quality. The coffee is very high quality and has a fantastic taste. Ease of use: It is very easy to use. Glass: The glass is very thin and fragile, which can make it hard to clean as it will easily break if mishandled. Drip rate: This is very slow, and may be frustrating to anyone who wants their coffee in a hurry. It is also not adjustable so you are stuck with whatever flavor you get. The Bruer is not necessarily the most perfect or most beautiful cold brew coffee maker, but it will not disappoint you in terms of quality. The slow-drip is also the best way to make your coffee in a relaxed atmosphere. It may be a little bit expensive, but it is so worth it, we highly recommend this incredible product for your everyday use. Go ahead and enjoy it. The Hario is the simplest in terms of design, it is easy to use, and doesn’t take up too much space in the kitchen. It is also extremely affordable. It comes with only 3 pieces to assemble, and in just under a minute, you can start brewing your delicious coffee. You don’t even need to have prior experience or be a professional in order to use this device. The brewing process is very easy. You simply add the ground coffee in to the filter, place the basket on the carafe, and add some water. Quality: It produces high quality coffee on a low budget. Filter: The filter is re-usable so excellent for anyone. Easy to clean: It is very easy to clean. Simply a breeze, you shall surely enjoy it. Capacity: It has a very small capacity, and can only brew 4 cups of coffee at a time. The Hario cold brew coffee maker retails for a low price which almost anyone can afford. Whilst the design is simple, don’t be fooled by it. The coffee is of high quality, and will leave you wanting more. You will seriously appreciate how easy it to clean this brewer. Most coffee makers are a nightmare in terms of cleaning. The cost is the best part about this coffee maker. It is affordable for all. Fridge Size: The cold brew needs to sit in the fridge for a few hours before consumption, and therefore, you should consider whether there’s enough space in your refrigerator to accommodate a cold brew coffee maker. Filters: There are quite a variety of filters in the market. Metal filters, paper filters, mesh, cloth, etc., Paper filters are fine, but you may have quite a mess when done. Mesh are easier to clean and have less waste, metal may have an after taste, while cloth are perfect but you need to keep cleaning them. Mesh filters are highly recommended. Materials: The material that has been used to make the coffee maker is also very important. The best materials are glass or ceramic because they are beautiful and easy to clean. Coffee grounds: When making the cold coffee brew, concentrate more on a coarse or very coarse coffee grounds. If you use fine grounds, are bound to wait for a very long time before enjoying your cold brew, because the drip will be much slower. Ease of use: Choose a coffee maker that is extra easy to use. You don’t need complications when it comes to your coffee. Read user reviews to get an idea of how easy or hard a specified coffee maker is. No more burnt tongue: Say good bye to the fear of scorching your tongue. Just like Iced tea, cold brews will give you the same great taste, at a cooler temperature, and you know you will love this during summer. You look much classier: Have you seen people sipping on cold iced coffee? They look awesome and very posh. You will definitely take your class level a notch higher with an iced coffee drink. Less acidity: As mentioned earlier, the coffee beans do not get in contact with heat, and therefore the coffee brewed is less acidic. The hot water releases compounds that are quite acidic, but with the cold brew, you will enjoy a drink that has 67% less acidity. More flavorful: This coffee drink incorporates all the coffee beans oils, making it much more flavor-filled compared to the hot beverages. Easy to make: You need not fear the iced coffee drink because you have no idea how to make it. It’s very easy. You only require a cold brew coffee maker, which strains out the coffee grounds for you, and voila! You add some milk/cream and you have the perfect drink in your hands. Perfect summer drink on the beach: On a hot day, it will cool you down fast, and make you look way cool on the beach. Which is the best type of coffee when it comes to a cold brew? If you like a black cold crew coffee brew, with a delicious fruity flavor, then African coffees are the absolute best. If you want coffee that is a little bit mellow, and one that can be sweetened with some chocolate or milk and sugar, then go for some Latin-American coffees. A perfectly balanced blend of coffee such as house, is also an excellent choice for cold coffee brews, and will give a sweet complex flavor. How long can I keep the cold brew after making it? The cold coffee brew will last for 7-10 days after brewing. Must I refrigerate the cold brew after making it? Yes. It must be kept in the fridge. How long should I wait for the cold brew to steep? It must steep for at least 16 hours, and anywhere between 14-18 hours is perfectly alright. This allows the water and coffee to reach the required equilibrium. Be careful not to go beyond the 18 hour mark. 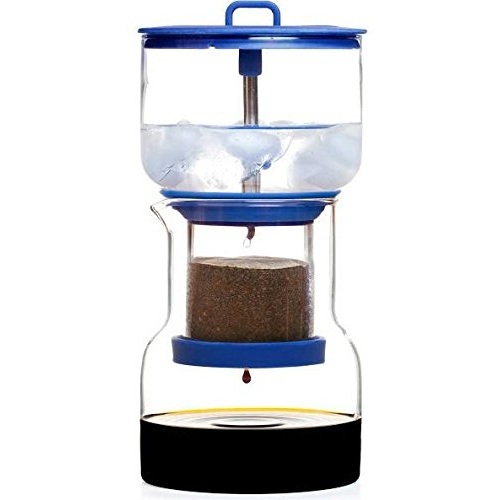 Which is the best grind for the cold coffee brew? The best grind is coarse or extra-coarse. This is perfect for filtration and allows an easy steep as you sleep. Can I use decaf beans for the cold coffee brew? Totally. You can use the decaf beans. If I don’t have a fridge, what do I do? It is designed to be ice cold coffee drink, but in the absence of a refrigerator, room temperature will do just fine. How many times can I use the filter? The filter can be used many times if you take good care of it. After each use, ensure you rinse it in hot water till the water clears, put in a plastic bag and keep it in the freezer. What is the recommended coffee to water ratio? For every 12 ounces of coffee, use 64 ounces of water. Must I filter the water I use for the cold brew? The answer is yes! And a big yes at that, because the cold brew is made up of at least 98% water, so always ensure it is clean and fresh. The cold coffee brew has exploded in terms of popularity in recent years, and for good reason. It doesn’t have a bitter taste, can be sipped with a straw and it is completely smooth to drink. No wonder all the celebrities are in to the craze. From the five cold brew coffee makers I’ve reviewed I’d rate the OXO as the best, it’s definitely worth getting if you are looking an all round cold brew coffee maker. On a cold day, or hot summer night, indulging in a delicious cup of ice-cold coffee will totally change your mood and cool you down. happy cold brewing!